Local mobile operator Econet Wireless has started exploring plans to introduce ad-blocking on its network through the introduction of software on its data centres. This information was revealed at the launch of the redesigned Econet brand. 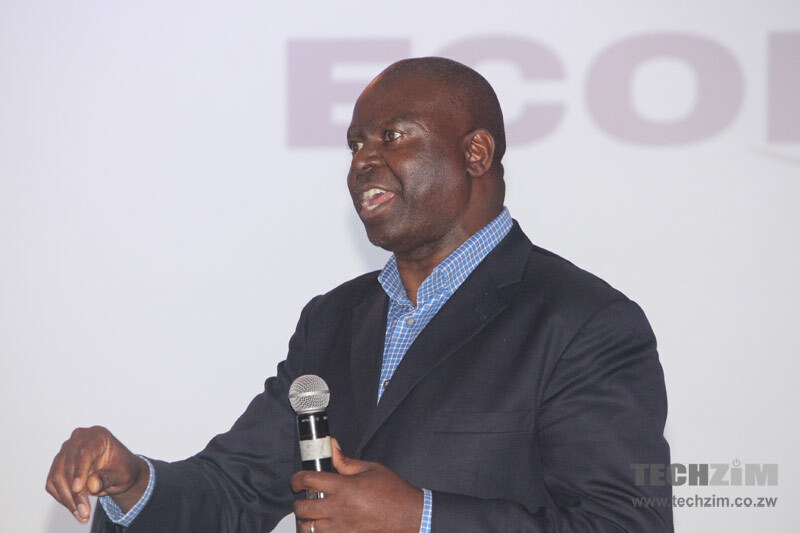 Responding to questions on the disappearance of airtime and broadband use Econet CEO Douglas Mboweni mentioned that the operator was investigating the option of introducing ad blocking as a way of helping subscribers manage data consumption. Adverts and pop-ups on various web platforms have been identified as contributors to data usage that subscribers are not always aware of. There has been an increasing focus on the individual use of ad blocking software as internet users try to avoid the annoyance that comes with adverts which are used by websites and applications as the primary source of revenue. As such, adverts are regarded as a necessary evil of sorts. To keep the free content coming, the payment has to be made in some way. Through the use of ad blocking software installed in its data centres, Econet will be able to prevent these same adverts and any additional data use on behalf of all its subscribers. It’s great from a user experience standpoint. Subscribers won’t be annoyed by ads and their data isn’t used up on any page by a popup. This approach has already been in other markets like Europe where the mobile operator Three became the first to publicly announce its experiments with this move while other unnamed operators were also reported to be pursuing the option. A turning point for Zimbabwean online media? Despite the benefits outlined for subscribers, a network level ad blocking strategy has been criticised because of the negative impact it has on the online advertising industry led by companies like Google and properties that rely on advertising revenue. Platforms with a strong online presence that include blogs and internet news publications would be affected but the wave of disruption won’t stop there. As traditional media companies like Zimpapers and Alpha Media adapt to an increasingly digital world where print publications have a decreasing audience, online platforms have emerged as new sources of revenue with some scope of growth. Ad blocking from the widest provider of mobile services and internet access in the primary market will have a marked impression. This could well be the sign for local publications to turn to options like subscription as the reality of a model that is now facing resistance from consumers with the conduits delivering their content seriously considering it sets in. Mboweni has however pointed out that the move isn’t going to being deployed just yet, with room for consultation with media players. In any case, the signs are clear – Zimbabwean media needs to start exploring other lines of revenue sooner rather than later. Page content accounts for a mere 30% of the data consumed!! Now imagine if I browse 5 articles, I’d get web content worth about 5MB and 15MB of (possibly unwanted) ads. As a consumer, that is unacceptable, esp., with our highly priced mobile data. Ads aren’t not and have not been a necessity. If you started using the Internet as early as the 90’s you’d remember that there was an ad-free Internet, with even higher quality content. There are plenty of very good websites that do not use advertising, be creative not lazy. The days of ads are numbered anyway, like it or not. So, if you can’t monetise any other way besides ads, you might as well prepare to shutdown. Some are trying micro payments (e.g. instead of getting ads, you pay 0.05 usd per article or short duration). As a service provider, EWZ is duty bound (if only to remain competitive) to give its consumers what they need. The average consumer needs to be control of their airtime consumption. Complaints about disappearing airtime are common across all MNOs. Complaints against EWZ are more amplified because of their greater market share. The onus is now upon content providers (forming the minority of users) to find other smart ways of getting their ads to the consumer. I use opera mini and on my browsing phone of choice my x2 techzim is only like 5kb if I disable images. plus on some level it is neccesary evil when you want ad free you pay the extra cost for it. So…if econet blocks ads…will they themselves also stop advertising? Becase….if they don’t then that’d be unfair, right? I can advertise but won’t allow ads on my network? Aaahhh hazviite!